A Jacksonville-based shipping company is rolling out a new line of ships powered by liquefied natural gas (LNG), according to an article by American Shipper. With the arrival of new technology in the marine shipping world, there will be implications for seamen’s rights. But before we delve into the law, we need to explore the facts. As part of a $550 million investment to improve shipping capabilities, Crowley Maritime will be using LNG-powered ships to operate between Jacksonville, Florida and San Juan, Puerto Rico. The first LNG ship from Crowley, El Coquí, is expected to begin service in 2017. The second LNG ship from Crowley, Taíno, is expected to begin service in early 2018. In order to fuel the new LNG-powered ships, Crowley is also building a new facility at The Jacksonville Port Authority (JAXPORT). Crowley’s facility will feature two giant cryogenic LNG tanks to refuel their new ships. The tanks feature a capacity of one million liters of LNG, weighing in at 260 tons each. Housed in the Talleyrand Marine Terminal, the new fueling facility will be right next to Crowley’s existing operations at JAXPORT. Once Crowley completes its plans and modernizes facilities for LNG use, seaman and crew will be exposed to new conditions that may lead to potential danger or even catastrophic injury. In that context, it is important to understand how the Jones Act protects the rights of seaman and crew. The Jones Act is the commonly used name for the Merchant Marine Act of 1920, which lays out general rules for cabotage, regulates maritime commercial activity and promotes the maintenance of a robust merchant marine. While the Jones Act only dates back to 1920, similar regulations date back as early as the First Congress in 1789. Among its many rules and regulations, the Jones Act protects seaman’s rights. Under 46 U.S.C. 30104, there is a framework for dealing with work-related injuries to seamen and crews operating in maritime commerce. Using the same framework in place for railway employees, seamen who suffer injury or death while working are able to sue their employer in civil court. Moreover, seamen have the right to a jury trial. 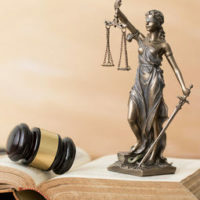 So unlike workers’ compensation laws in place throughout the United States, seamen and crew injured in the course of employment have a right to sue their employer. If you have questions about seaman’s rights, it is vital to seek counsel from a knowledgeable admiralty and maritime lawyer. Given the complex history of admiralty and maritime law, it can be difficult to navigate properly without an experienced counselor by your side. 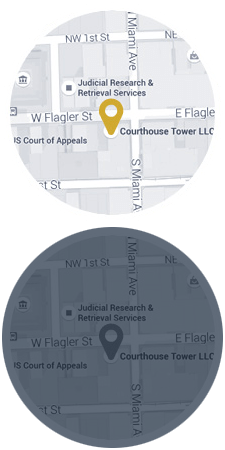 Operating in Florida, Michael F. Guilford, P.A. has demonstrated experience in the field of admiralty and maritime law. If you need legal counsel related to admiralty and maritime law, please do not hesitate. Contact Michael F. Guilford, P.A. as soon as possible. Michael F. Guilford, P.A. is available by calling 866-473-2636 (toll free) or 305-539-1999 (toll), by faxing 305-539-1998 or by filling out a quick online form.